On Wednesday, fans across the country will celebrate their team’s latest crop of heralded recruits. And few recruits generate more excitement than a highly rated quarterback. Whether it’s five-star Stanford commit Davis Mills, Clemson early enrollee Hunter Johnson, touted Alabama pledge Tua Tagovailoa or Michigan-bound Dylan McCaffrey, all as of this moment are viewed as the quarterbacks of the future at their respective programs. In reality, if recent averages hold, only one of those four names will go on to become a star, another might start for a couple of years — and the other two will finish their careers at another school. If it seems like high-profile quarterback recruits transfer at an unusually high rate, well, it’s because they do. Using 247Sports’ composite rankings, FOX Sports researched the careers of every Top 50 quarterback recruit that signed from 2011-14. Numbers don’t add up to 100 % because some early starters also transferred. Exactly half — 100 of 200 — transferred from their original school. 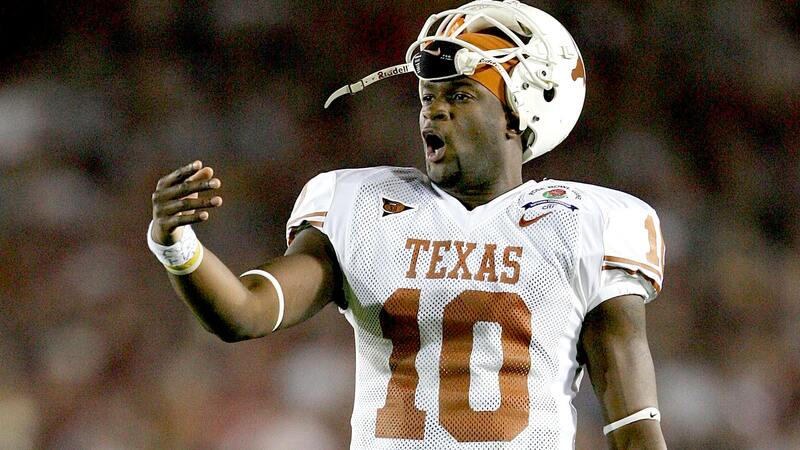 Go back 15 years to 2002, when future Texas star Vince Young sat atop the recruiting rankings. Of the 24 quarterbacks to earn composite four- or five-star ratings, all but five finished their careers at the school they signed with out of high school. Only a few (Young, Ohio State’s Troy Smith, Michigan State’s Drew Stanton) emerged as stars. Far more waited their turn and started eventually, or, in a few cases, changed positions or joined the baseball team. 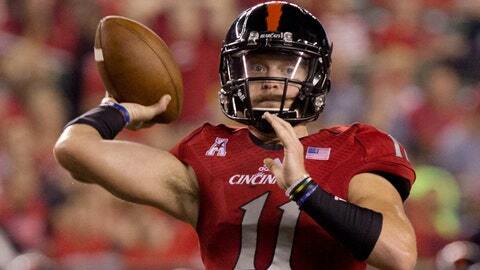 Conversely, from 2011-14, 45 of 96 four and five-star QBs — 47 percent — ultimately transferred. That’s a 173 percent increase from 15 years ago. And the farther down the rankings you go, the higher the transfer rate. Among Top 50 QBs, 53 percent of three stars* transferred. And there will likely be more to come from the 2014 class. 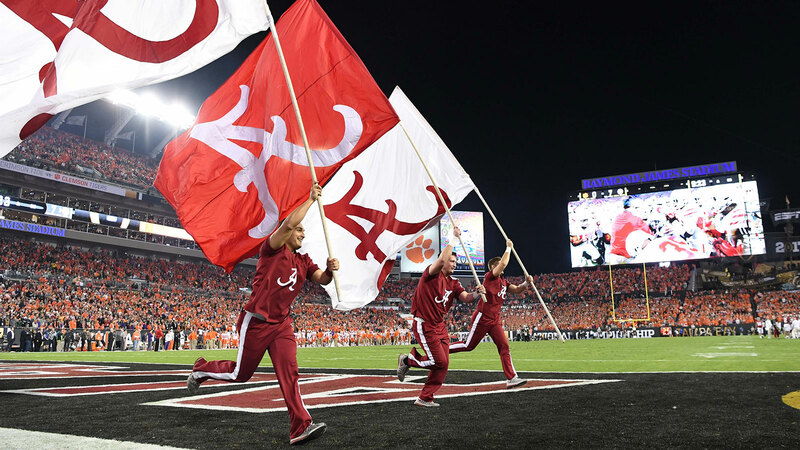 The still relatively young grad transfer rule — which allows players who get their undergraduate degree to change schools without sitting out a season — has undoubtedly contributed to the transfer increase. But they accounted for a small minority of the total transfers in that time period. It’s a case of inflated expectations coupled with the impact of social media. Today’s blue-chip quarterback recruit — many of whom compete in the prestigious Elite 11 summer circuit and/or work with private QB tutors — enter college with an optimistically lofty vision. As such, nearly all of them expect to become starters by their first or second seasons. But of course there are only so many starting jobs to go around at the top programs, and the position there may only come open once every two or three years. Unfortunately, just 22.5 percent of the Top 50 QBs start by their first or second seasons. Of the rest, only 40 percent stay for the remainder of their careers. Surely those quarterback recruits back in 2002 had their own designs on the NFL and their own frustrations with life as a backup. Yet they did not transfer at nearly the same rate. What changed? Recruiting in the age of social media. The divergent paths of blue-chip quarterbacks were evident starting right at the top of most years’ rankings. The recruiting services only bestow five-star status on about two quarterbacks per year. In 2012, that pair was Jameis Winston and Gunner Kiel. Winston signed with Florida State and became the savior every fan base dreams of — redshirt freshman starter, Heisman Trophy winner, national champ. Kiel signed with Notre Dame, redshirted for a year behind Everett Golson then transferred to Cincinnati, where he started for two seasons before losing his job as a fifth-year senior. A year later, the top two were USC’s Max Browne and Penn State’s Christian Hackenberg. The latter started as a true freshman, held the job for three admittedly rocky seasons and got drafted. The former spent three years on the Trojans’ bench, finally started three games this past season before ceding the job to Sam Darnold. Browne, a grad transfer, will finish his career at Pittsburgh. That boom-or-bust pattern may seem an indictment of recruiting experts, but if anything, this exercise reinforced their accuracy. While there were outliers both low (Heisman winners Johnny Manziel and Marcus Mariota were not among the Top 20 QBs in 2011) and high (No. 5 Christian LeMay wound up an FCS backup), in general, more guys rated No. 1-10 panned out than those 10-20 and on down the line. But the tie that binds them all is the belief of every five-star that he will become the next Deshaun Watson (No. 2 QB in the class of 2014) and that of every three-star that he’ll become the next Mariota or Manziel. If it doesn’t happen at the initial school, then try somewhere else.